Tell State Forester Decker not to trade Oregon’s largest tree to a timber company! Oregon’s largest known tree is owned by you and me! 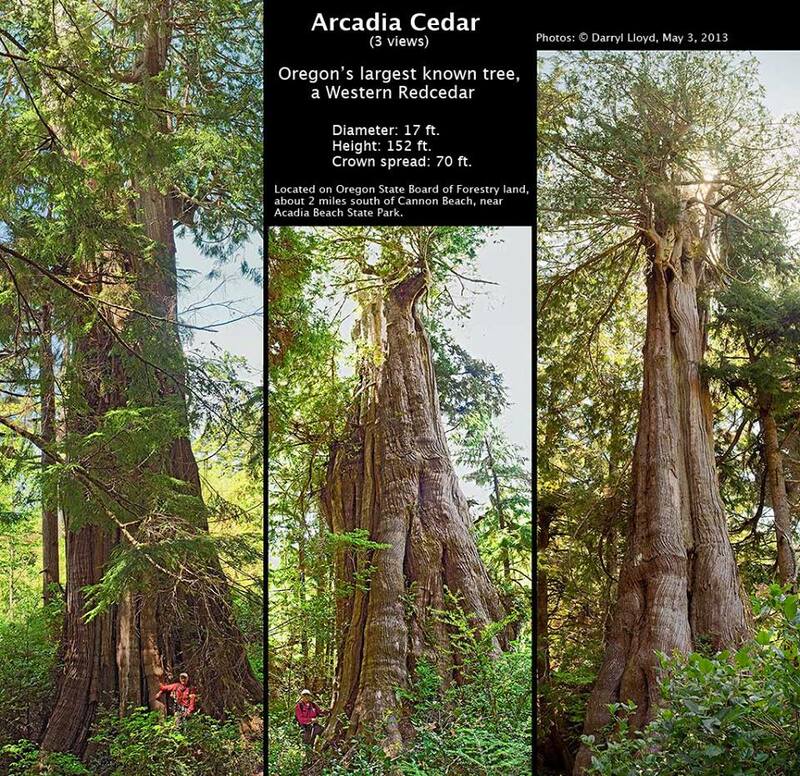 The “Arcadia Cedar,” Oregon’s largest known tree, is on publicly owned State Forest land just off of Highway 101 south of Cannon Beach. Hug Point, the parcel containing the giant, along with other rare examples of north coast old growth, has been identified as a “high priority” to be traded from public ownership in a Land Acquisition and Exchange Plan. 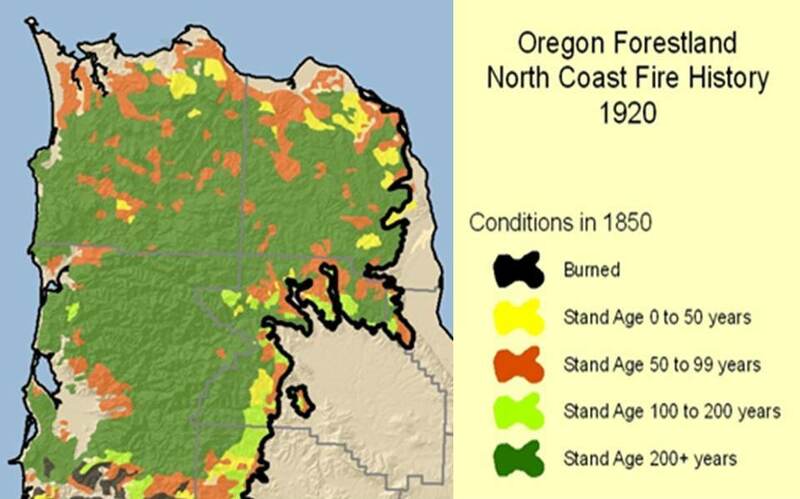 The reason for its priority status is the parcel’s “favorable position relative to Lewis and Clark Oregon Timber LLC’s ownership and road pattern.” This kind of old-growth stand is extremely rare on Oregon’s north coast, thanks to decades of logging and the logging-induced Tillamook Burn fires. First, because the Department is funded almost exclusively through timber sales from the State Forests, it is inclined to make decisions with timber as a priority. ODF provides for itself by intensively harvesting our public land, so they resist efforts to ensure long-term conservation. This lack of diversity in the Agency’s funding creates a bias towards timber production over other values that the State Forests offer. Second, the Department is strapped for funds. Inaccurate timber projections, down markets, and legislative raids on past timber proceeds have left ODF exploring new Forest Management Plans to improve their financial status. Over the long term, we must thus stop ODF from trading or cutting critical environmental places, and we must also support those Board of Forestry leaders who are serious about diversifying funding for ODF, in order to reduce their bias to just cut more to pay the bills. The Arcadia Cedar and the Hug Point parcel are excellent candidates for long-term protection rather than trade. With the Board of Forestry having confirmed the “High Value Conservation Area” classification, the Department has a tool to help ensure the conservation of this important piece of public land. If you would like to join the North Coast State Forest Coalition on a trip to see the tree, join us on July14th!